Pot legend Tommy Chong has his own talk show! The Grammy Award-winning comedian is at the helm of the “counterculture variety show” Almost Legal with Tommy Chong. The satirical new series is in the vein of traditional late-night talk shows, with interviews, musical guests and comedy skits. Tommy Chong has graced the cover of High Times a record eight times—more than any other celebrity smoker. He’s been an outspoken advocate for weed “right from the very beginning,” he declares. Now he’s got a whole new platform to deliver his pot-positive message from. 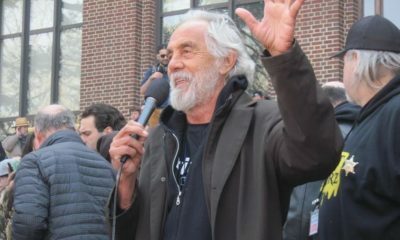 Almost Legal with Tommy Chong will be distributed by FilmOn.com, air on FOTV over Dish Network, and will be syndicated to WeedMaps, in addition to the show’s YouTube channel.